Hint: It involves mouthwatering food. This past Sunday, I finally made it to LA’s Smorgasburg, a food-oriented market downtown that’s full of delicious eats and cute artisanal goods that runs only on Sundays. I’m no stranger to food markets and festivals in LA, but Smorgasburg features some vendors that are new to the LA food scene, and exclusive to Smorgasburg. These Singaporean chefs just sell a few dishes, but what they make, they make to perfection. The duo offers two slightly different versions of crab sandwiches: the Trap Queen and Cali King, each with a side of cassava chips.They also have “singrias”, Singaporean-inspired drinks that are packed with fruit and are totally refreshing. 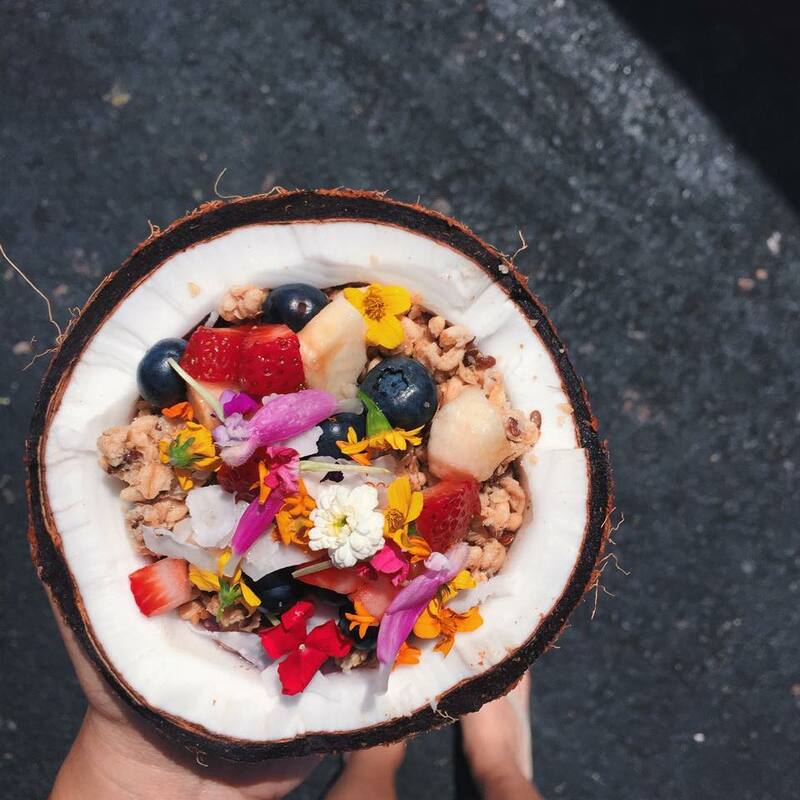 Sure, you can find these delicious and nutrient-packed smoothies and açai bowls in the Arts District or at their food truck, but their food truck doesn’t serve these almost-too-beautiful-to-eat açai bowls in coconut shells. At Smorgasburg, try their classic açai bowl served in a chilled coconut and garnished with flowers, which makes it as photogenic as it is delicious. Plus, the chilled coconut helps keep it cold on those hot summer days. To take a break between all the tasting, I definitely recommend checking out this succulent designer. She sells beautiful succulent arrangements, and is quite friendly and knowledgable, so be sure to say hi. 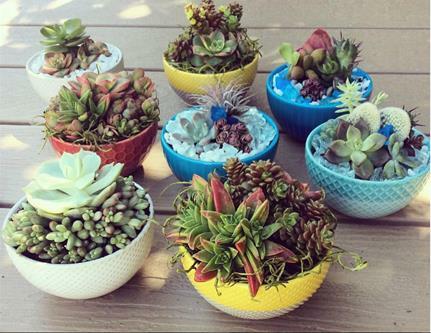 Ask Janine about her succulent arranging classes (which include mimosas). This locally-made granola is gluten-free (they have vegan options too) and comes in the form of either a bag of granola or granola bars. At Smorgasburg, you can also try a parfait using their granola or a scone. Sarah Bearclaw, the founder and genius behind the granola, even came to Smorgasburg in person and gave out free samples, so be sure to try some. Smorgasburg is one of just three places in LA you can find the infamous raindrop cake (the other two being the Japanese restaurants Kimukatsu and Yojie). It’s made of mineral water and agar, which give it the appearance of a giant mouthwatering raindrop. 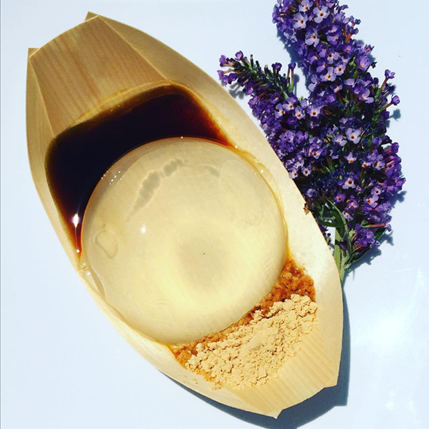 #SpoonTip: They Just debuted their new lavender-flavored raindrop cake, so stop by Smorgasburg and be one of the first to try it. 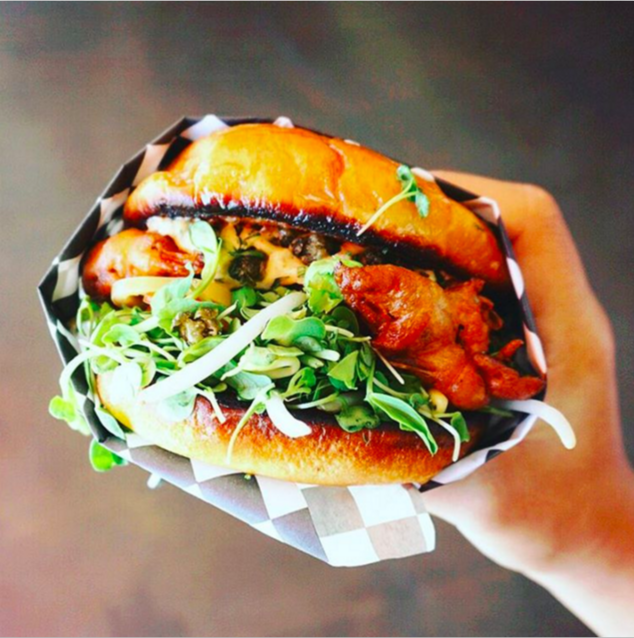 Whether you’re looking for some new inspiration to practice your foodstagram skills, or want a place where you’re guaranteed to see the latest food trends (like the ramen burger), Smorgasburg is the place to be this Sunday.